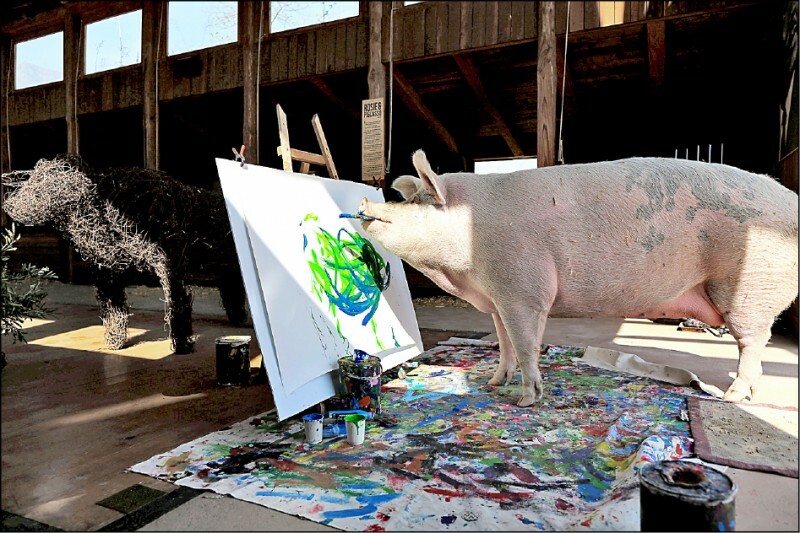 "Pigs are very smart animals and so when I brought Pigcasso here to the barn, I thought how do I keep her entertained?" said Joanne Lefson, who runs Farm Sanctuary SA. "We threw in some soccer balls, rugby balls and of course there were some paintbrushes lying around because the barn was newly build ... She basically ate or destroyed everything except these paintbrushes ... she loved them so much," Lefson added.